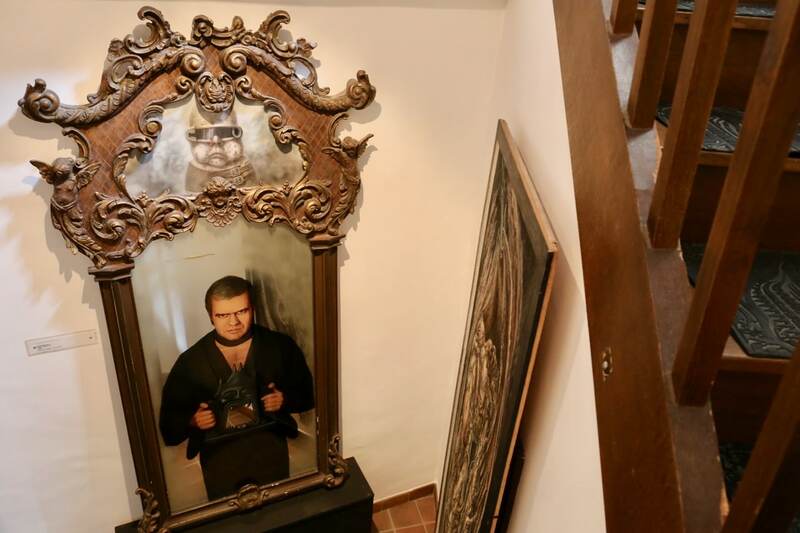 On June 20 1998, the haunting HR Giger Museum opened its doors in the medieval Château St. Germain in the 400 year old historic walled city of Gruyères in Switzerland. 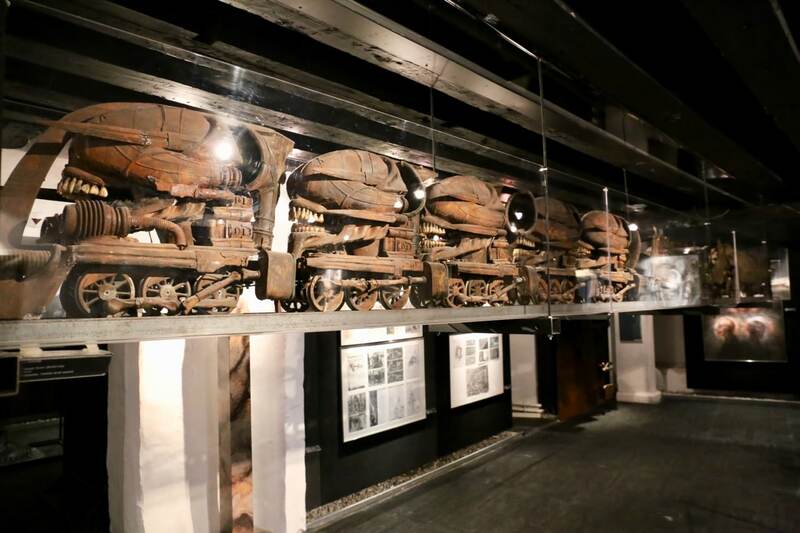 As the permanent home to many of the Swiss artists key works, the museum houses the largest and most impressive collection of Giger’s paintings and sculptures, furniture and film designs, dating from the early 1960’s. As a child H.R. 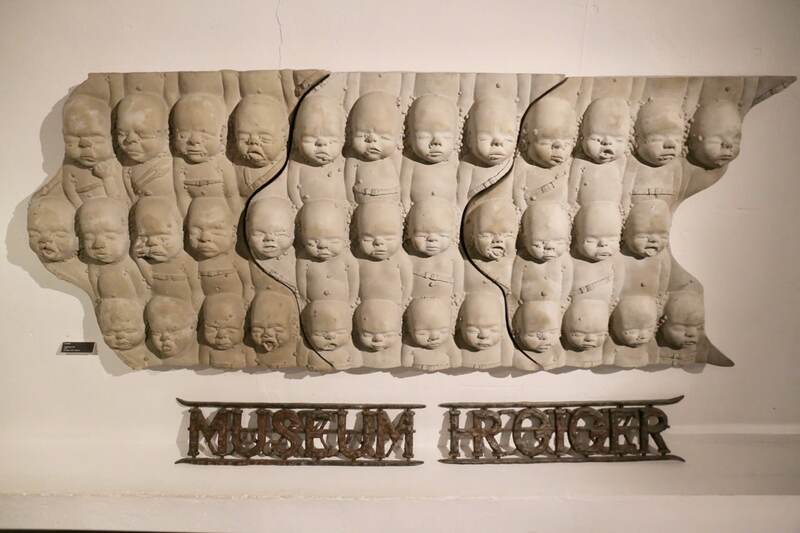 Giger developed a strong passion for all things surreal and macabre. His need to express himself and share the unique aspects of his powerful imagination drew him to the visual arts. Giger’s own dreams and the brilliant imagery of such fantastic geniuses as Gustav Meyrink, Jean Cocteau, Alfred Kubin and H.P. Lovecraft combined to offer an inspiration for Giger’s own art. The artist left a haunting legacy featuring exotic women, unbridled sexual fantasies, wondrously bizarre landscapes, and a parade of frightening creatures. 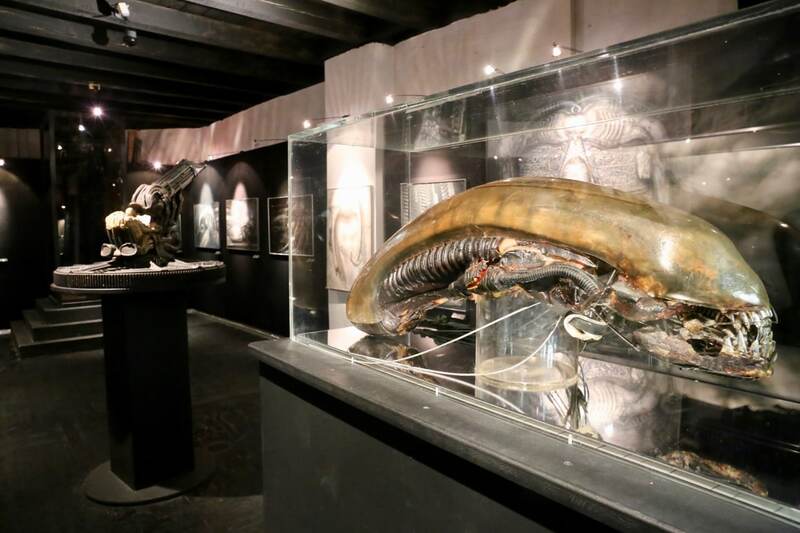 It was Giger’s popular art book, Necronomicon, that caught the eye of director Ridley Scott as he was searching for the right look for a creature in his upcoming film. 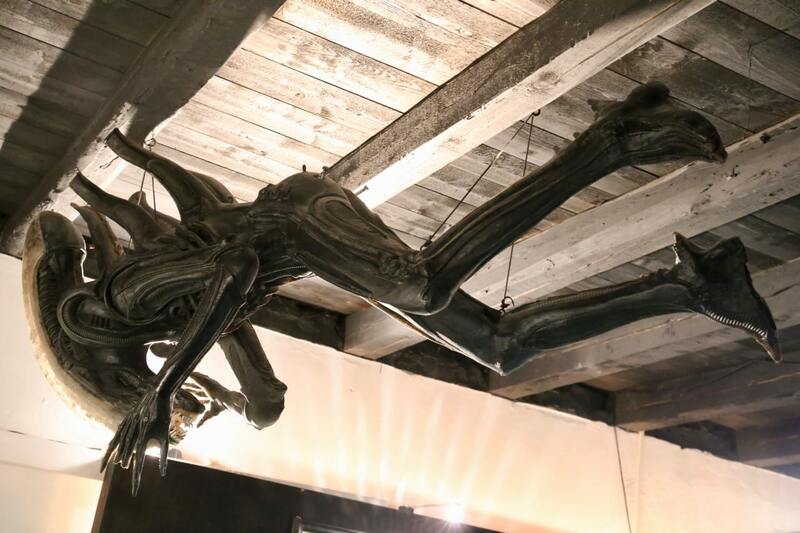 That creature turned out to be the Alien, and Giger’s masterful designs for the film of the same name garnered him a much-deserved Academy Award. 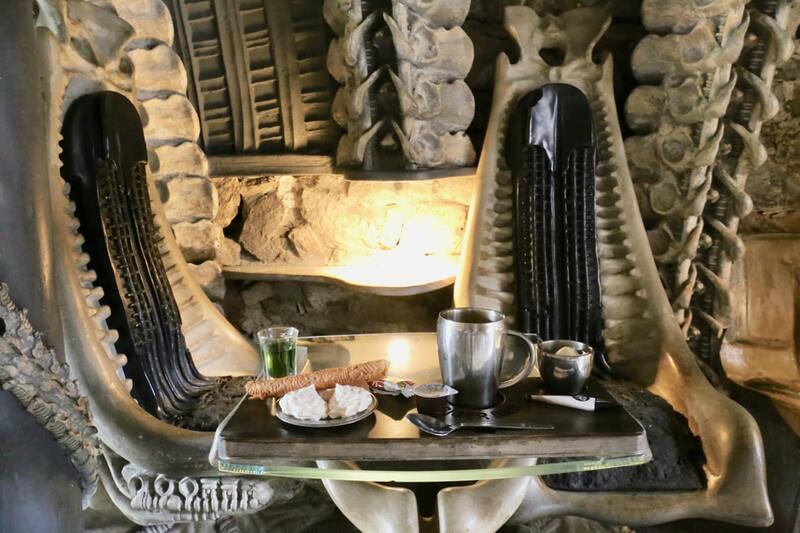 Be sure to stop by the HR Giger Bar, located directly across the street from the museum for a coffee or cocktail as the interior forces a jaw-drop. 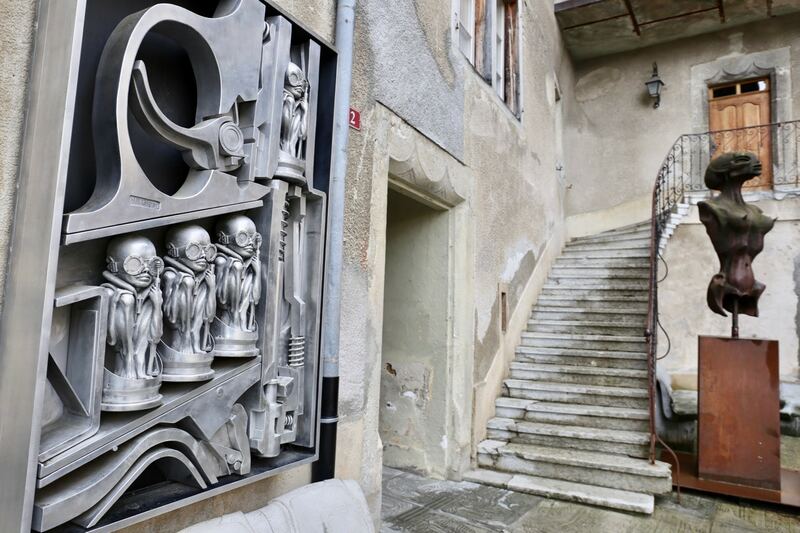 Completed in 2003, HR Giger Bar is a work of art in itself. The ceiling, walls, floors, fittings, tables and chairs are all modelled by the artist in the style of his acclaimed biomechanical designs. The bar’s signature sip is it’s Alien Coffee, a pretty platter featuring a steaming Americano, shot of local herb liqueur, crunchy meringues, and Gruyere’s famously thick double cream.